The holiday season, especially the turn of the New Year, is a popular time for Champagne and other sparkling wines. Sparkling wine has been around for three and a half centuries, making it a timeless celebratory drink to usher in 2018. The drink can be traced back to ancient Greeks and Romans in the 1500s and gained popularity when, according to legend, the Benedictine monk Dom Pérignon created a bottling technique called methode champenoise, the “Champagne method,” in the 1700s. This solved the issue of exploding wine bottles, which were caused by the wine’s bubbles, and gave us the cork stoppers that we use today. Interestingly, all Champagne is considered sparkling wine, but not all sparkling wine is Champagne. This is due to the location where the wine is made: Champagne is only made in the historical Champagne wine region in the northeast corner of France. Sparkling wines such as Cava and Prosecco, on the other hand, are made from regions in Spain and Italy, respectively. Making sparkling wine involves starting with a tart base wine and adding sugar and yeast before putting the wine through a second fermentation process. In the traditional methode champenoise the secondary, bubble-producing fermentation takes place in the bottle. This makes for desirable tiny, delicate bubbles and is generally a more expensive method than the bulk charmat method, in which the second fermentation is done in tanks. Both methods end in dosage, the final step before bottling the wine. During dosage, one final mixture of wine and sugar is added for flavor. The amount of sugar added during this phase is what determines the sparkling wine’s sweetness. The levels range from brut nature, which has no added sugar to doux, which contains about 2 teaspoons of residual sugar per 5-ounce serving. Wine labeled brut–the most common type–is very dry. Extra dry, ironically, is slightly sweeter. Sec is medium sweet, demi-sec is sweet, and doux is very sweet. Grapes most commonly used for Champagne include two red–Pinot Noir and Pinot Meunier–and one white grape–Chardonnay–for a harmonious combination of fruitiness and body. Spanish Cava uses Macabeu, Parellada and Xarel-lo grapes, giving it a similar flavor to Champagne, and Prosecco uses Glera or Bianchetta Trevigiana, giving it an especially fruity aroma. Legend holds that Dom Pérignon said, “Come quickly, I’m drinking the stars!” the first time he tasted Champagne. 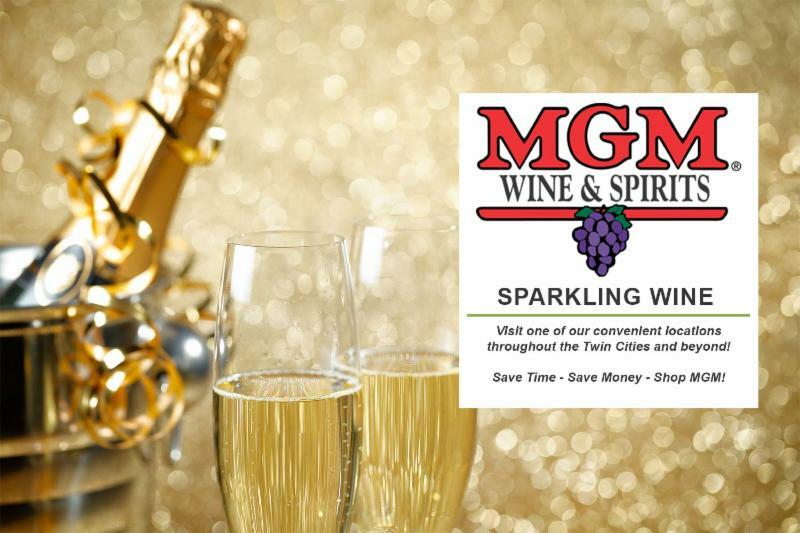 The varying flavors of sparkling wine pair with all types of food, including the shareable appetizers and main courses for your New Year’s Eve get-together. 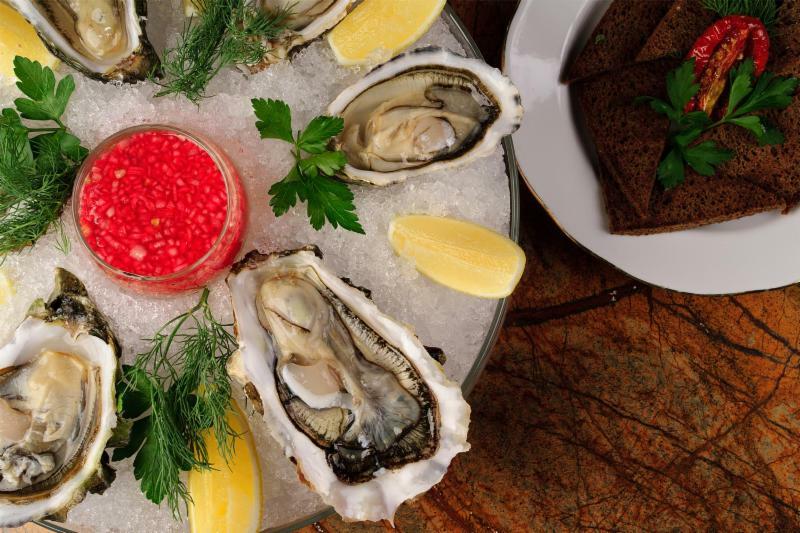 Try pairing your favorite Champagne with buttered popcorn, shrimp and shellfish, salmon, caviar, stuffed mushrooms, or fruit-based desserts, such as tarts and crepes. 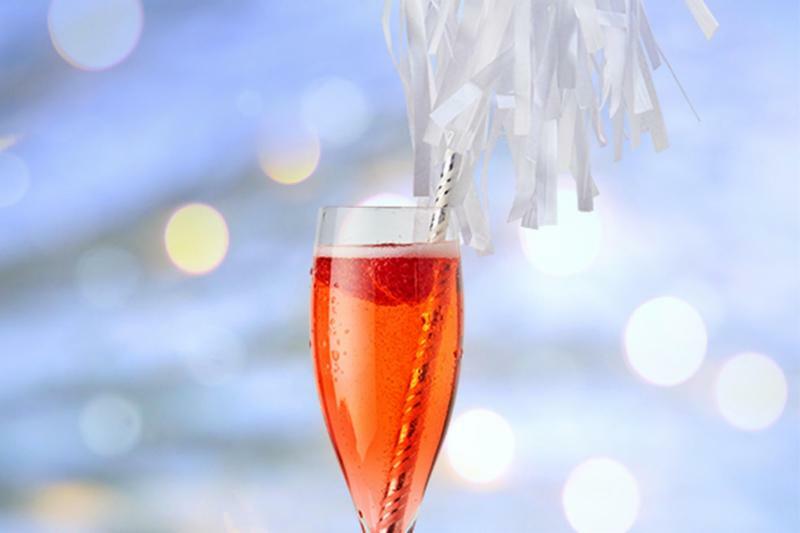 Sweet sparklers such as those labeled demi-sec and doux are best as dessert wines or on their own. Spanish Cava pairs well with savory pairings and light meals. Scrumptious pairings include manchego cheese, olives, almonds, potato chips, fried fish or prosciutto ham. 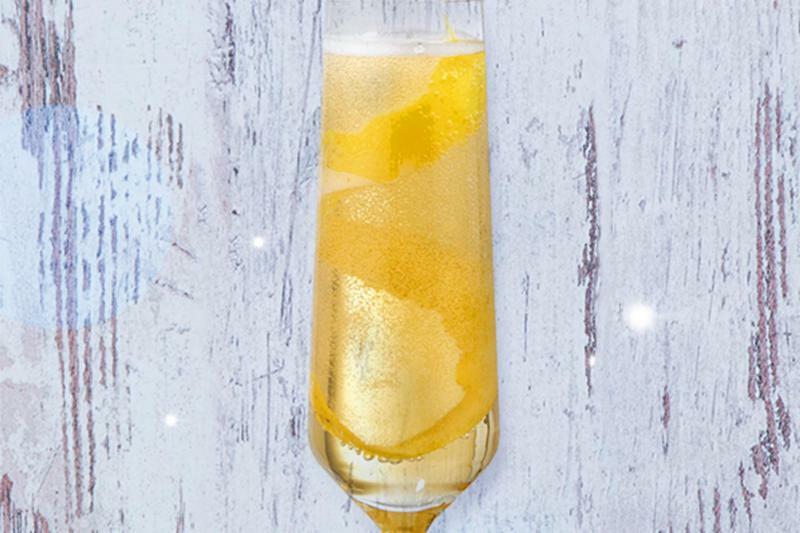 Prosecco, due to its tendency to have notes of apple, pear and apricot, pairs especially well with main courses. Some ideas include almonds and antipasto, asparagus, Asian fare and sushi, smoked salmon, and shrimp cocktails. Chill all ingredients before assembling. Add peach schnapps, syrup and juice to a flute. Top with Barefoot Bubbly Moscato Spumante. Garnish with floated frozen raspberries. Recipe and photo courtesy of Barefoot Wine.